For basketball coach Mike Carter, this time it’s personal. Ex-pro Carter is not just assistant coach of the American team at the Maccabiah. 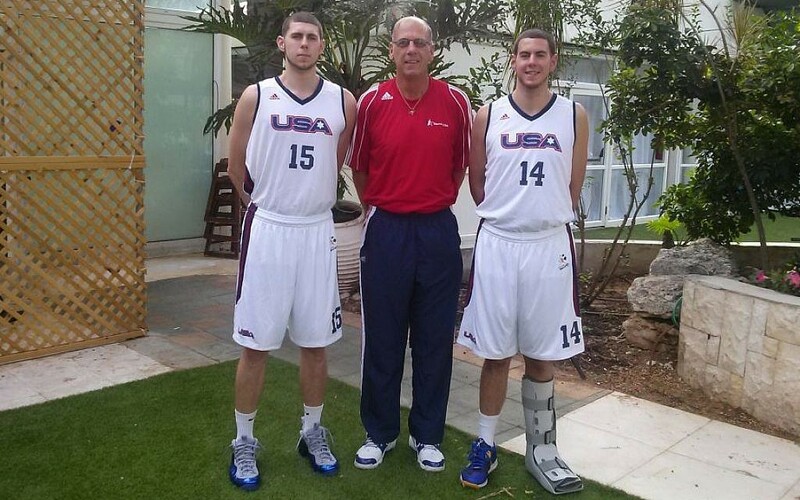 He’s also mentoring his two Israeli-born sons, Ben and Timothy, who are on the squad. His Israeli wife, Hadar, is with them for the Games, and they’ll be meeting up with the whole Israeli side of their family. Carter’s professional basketball career spanned 17 years and saw him play all over the world, from the United States to the Philippines. But the highlight, he said, was his time in Israel — at Hapoel Holon, a club in the heart of the country with a rich tradition. “The five years in Holon were the best years in my career,” Carter told The Times of Israel in a recent interview. “The fans in Holon fell in love with me, and I fell in love with them. I follow the club to this day. I am looking forward to going back and showcasing my sons. Who knows, maybe one day they will play in Holon,” he said. 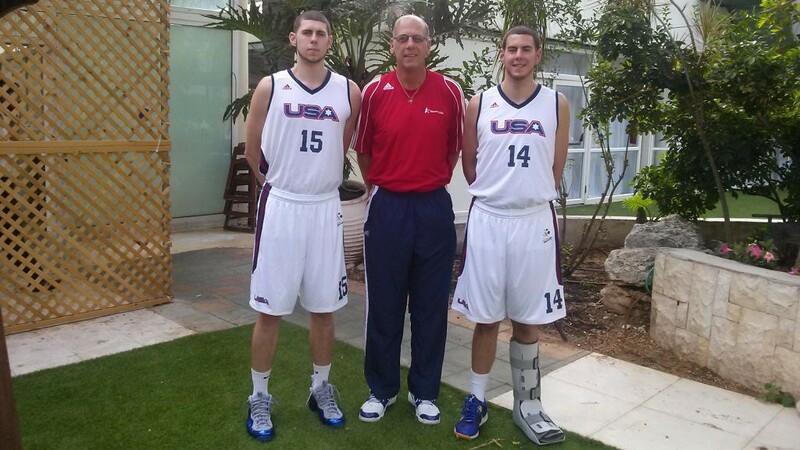 After both of Carter’s boys committed to play for the Maccabiah team at this month’s Games, Head Coach Brad Greenberg reached out to Carter, Sr. and asked him to serve as his assistant coach at the “Jewish Olympics.” Mike accepted immediately. Greenberg “knew I was a former head coach, a former player in Israel, and I could bring a lot of experience and knowledge of basketball,” continued Carter. “It was also an opportunity for me to bring my kids back to the Holy Land, where they were born. My wife’s [Israeli] family has never seen the kids play. Last time they saw them, they were little kids; now they’re six-foot-nine. It’s a dream come true for my family,” Carter said. 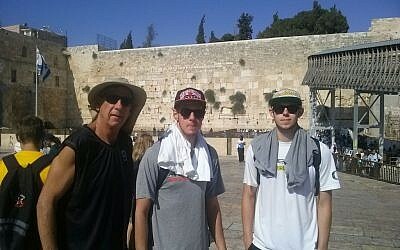 In all, Carter spent 13 years living in Israel, and has lots he wants to share with his sons on what is only their second visit to the country. The first time was back in 1996, when Hapoel Holon retired their father’s jersey. “I want them to see the historical sites, and visit Holon and see the fans. That’s where my heart is,” he said.